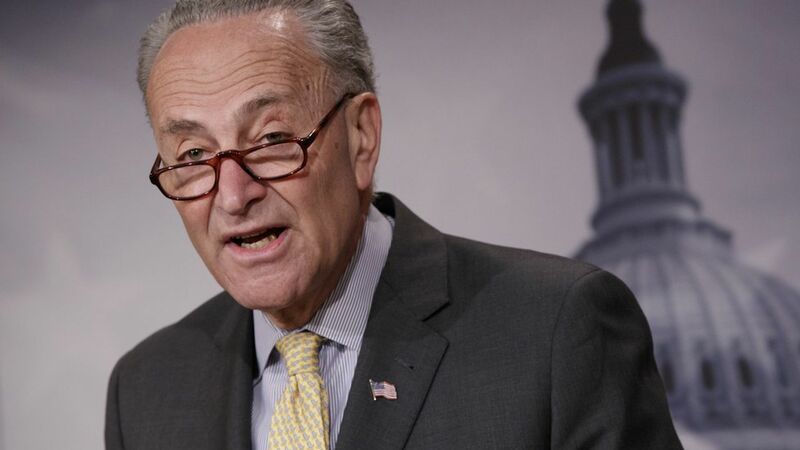 Senate Democratic Leader Chuck Schumer called for Jeff Sessions' resignation today during a press conference on reports that the AG withheld information about two meetings with the Russian ambassador during his Senate confirmation hearings. Schumer's message to Trump: "It would be of Alice in Wonderland quality if this administration were to sanction [Sessions] to investigate himself." Acting Deputy AG Dana Boente must immediately appoint a special prosecutor of "real experience and unimpeachable impartiality." If DOJ fails to appoint a special prosecutor, Dems will urge Mitch McConnell and Paul Ryan to work with them to create a new version of an independent counsel law — like the Ethics in Government Act of 1978 put in place after Watergate — that would give a panel of 3 federal judges the authority to appoint a special prosecutor. The Inspector General of the DOJ must immediately begin an investigation into Sessions' involvement in the Russia investigation thus far to determine if the investigation has already been compromised.